Selected clear hardwood plugs. Unfinished, smooth sanded and tapered. Selected clear hardwood plugs. Unfinished, smooth sanded and tapered. Selected clear hardwood plugs. Unfinished, smooth sanded and tapered. Selected clear hardwood plugs. Unfinished, smooth sanded and tapered. Selected clear hardwood plugs, unfinished, smooth sanded and tapered. Selected clear hardwood plugs, unfinished, smooth sanded and tapered. Selected clear hardwood plugs, unfinished, smooth sanded and tapered. Selected clear hardwood plugs, unfinished, smooth sanded and tapered. Unfinished hardwood plugs. Unfinished hardwood plugs. Unfinished hardwood plugs. Unfinished hardwood buttons. 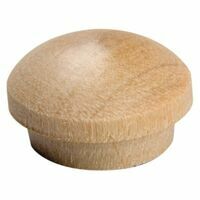 Waddell Dowel Pin, Spiral Groove, 1/2 in Diameter, 2 in Length, Clipstrip Waddell Dowel Pin, Spiral Groove, 5/16 in Diameter, 1-1/2 in Length, Clipstrip Unfinished hardwood buttons. Smooth satin finish. Packed in fiber carton. Made from Aspen hardwood. Smooth satin finish. Packed in fiber carton. Made from Aspen hardwood. Smooth satin finish. Packed in fiber carton. Made from Aspen hardwood. Unfinished hardwood plugs. Waddell Dowel, Square, 1 in Diameter, 36 in Length, Hardwood Unfinished hardwood buttons.